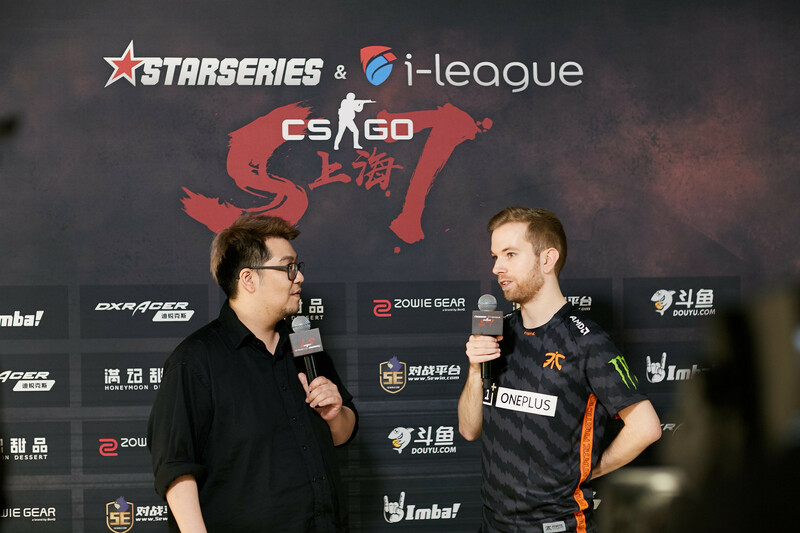 Xizt: "We want to hire a mental coach to help us improve even more"
As Fnatic had advanced to the semifinals of StarSeries i-League S7 Finals after defeating North, we interviewed their in-game leader, Richard "Xizt" Landström. The 28-years-old commented on the team’s performance in Shanghai, problems they have been dealing with since the Major, and discussed the transfer that almost happened in 2015, when he was in talks with G2 Esports. After the first match against NiP, which was extremely intense, you didn’t lose a map on the way to the Playoffs. What has changed within your team, so you could show a much better level of Counter-Strike than you did at WESG and the Major? We have changed a few things as the Terrorists, mainly the roles. [For example], we have Simon "twist" Eliasson on the AWP instead of Jesper "JW" Wecksell as the Ts. I think we’ve gained a lot of confidence playing the group stage here. Obviously, playing against NiP was really tough. We felt a lot of emotions playing against our Swedish rivals, but we managed to win that 2-1 and we’ve been rolling since then. Usually, your team doesn’t play Nuke, but here, you’ve played it three times against NRG, Vitality, and North. Do you leave Nuke open on purpose? Yes. We’ve been struggling with our map pool. Before that, we had a lot of focus on Train, but coming into this event, we put a lot of practice into Nuke. We knew that we don’t want to "instaban" it in Best of 3, we want to ban opponent’s best maps. That’s why we started playing Nuke. As you know, Cache is out of the competitive map pool, as it is being replaced by Vertigo. What do you think about it? I haven’t played Vertigo since 1.6. I can’t really say much about the map. Personally, I’m a bit sad that Cache is the map being removed because I like it, but I also like that Valve are changing things up. I like it when they add new maps. It’s been a long time since they changed the map pool. I’m excited to start playing it. What would you personally prefer: Nuke or the new map? I’ve always had Nuke close to my heart since the NiP days. We were good on it. However, I would like it more if they kept Cache and removed Train or Nuke. In the interview for WESG, twist mentioned that JW completely took over the AWP role, but here, Ludvig "Brollan" Brolin said that you switched it back. What is the reason for this change? We’ve changed roles as the Ts because JW takes a lot of initiative when he is playing rifles, while I want to put twist in a passive AWP role. We also want twist to play with me and Brollan as a unit, and put JW on the sites because he is really good at finding opening kills and taking control of specific zones. Recently, we’ve had another discussion about how seedings should be done in the Swiss System. It was revealed by Panda that the teams didn’t want proper seedings, so they chose "the random" once again. What is your opinion on that matter? I think the Major had a good seeding system. They probably could have used the same here. I don’t know why they didn’t. I think the Swiss Matches were pretty good, it is the Playoffs’ draw that was not fair. Top 3 ranked teams are in the bottom half of the bracket, and then, you have us and lower ranked teams in the upper one. I think that they could have used the same system from the Major. It was good. What kind of approach for seedings do you prefer? Is the one we had at the Major best to be used? I think the system [from IEM Katowice Major] is probably the fairest for all teams. It shouldn’t be that many upsets, even though we still had a lot of them at the Major. However, I still think that the Major’s system is the best. 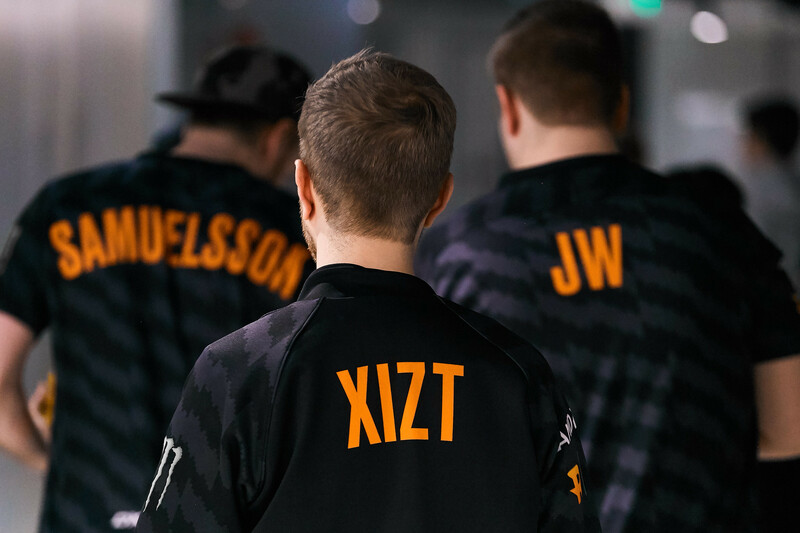 This lineup of Fnatic is expected to achieve good results in the coming months. You set a high bar by yourself as you did great at IEM Chicago, where you almost managed to beat No.1 team in the world, Astralis. Why you were not able to keep the pace after that event? I think we played good when we had a small event in Abu Dhabi, where we beat all underdogs without a problem. We won that event. Then, going into the Major, I think we had a lot of confidence, but after we lost the first game [against ViCi], we got too nervous. We had a lot of mental issues, on which we’ve been working on. We want to hire a mental coach to help us improve even more. I think we put too much pressure on ourselves before the Major, everyone expected us to win. It was just too much pressure to handle. I think we’ve worked that through, so now we look a lot better. How is your current state different from what you were a few months ago? How did you work that through? We have started planning for every game in more details. We have also switched the roles, so everybody is more comfortable. It’s just a matter of preparation and how we do it. Once you start winning, you slowly build your confidence. We will just take it from there. After your time in NiP, you stood in FaZe Clan and played there not as an in-game leader, which is something unusual for you. Now, as you play for Fnatic, you are in charge again. Do you actually enjoy IGLing, or you would like to change your role again? I would like to be not an in-game leader, but it’s also something I’m comfortable with. It was fun when I was not an IGL, as I had to listen to someone else and be a secondary caller, which is the role that fits me. However, I think it’s good now in Fnatic. We are comfortable with the roles. But if you had a choice, why would you stop being an IGL? What is the main drawback of playing as a captain? When I started my career, I was just a normal player, but after I played with Patrik "cArn" Sättermon in Fnatic back in 1.6, I evolved into an IGL. It’s something that I enjoy, but it was also fun not having to do that in FaZe Clan. Just because of that, I guess. It was fun. Speaking about FaZe Clan, it was the first international lineup you had played with. 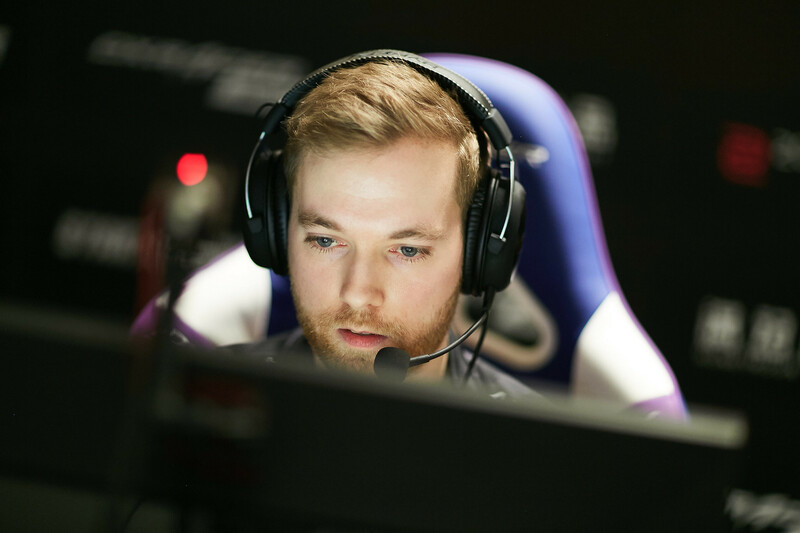 However, in 2015, there was a rumour that NiP was going to sign Mikail "Maikelele" Bill, Håvard "rain" Nygaard, and Dennis "dennis" Edman from G2. Did you really have talks with the trio? Yes. I was talking to Maikelele about playing with dennis and rain. I also think that Patrik "f0rest" Lindberg was supposed to play with us. I think we were supposed to leave NiP and join G2 Esports. However, that didn’t happen. Why didn’t it work out at the end? We just had a talk with the team back then and we decided with Christopher "GeT_RiGhT" Alesund and Adam "friberg" Friberg that we were going to stay together. We were still having a lot of fun together and we still had good results, making quarterfinals and semifinals [at events]. Basically, we just decided to stay together. So you just decided to choose a safer path? Yes. It all started after ESL One Cologne 2015. GeT_RiGhT was supposed to go to Cloud9, and then, I started talking to other teams. At the end, we decided to stick together and signed new contracts with NiP. Today’s match against North was close, but on the third map, you almost 16-0ed them. How did you do it? I think we are just not 100% ready for Nuke yet. Also, playing against Danish teams on Nuke has always been hard throughout my whole career. They have a really good understanding of how to play the map, it’s hard to break them as the Terrorists. I think we needed a better CT half on Nuke to win that map. We are also comfortable with Mirage. On Inferno, me and twist have been practising our B hold. Brollan had a great game on Inferno’s CT side as well. If you make the grand-final here at StarSeries i-League S7, how confident will you be? Super confident. I haven’t lost a final in many years.